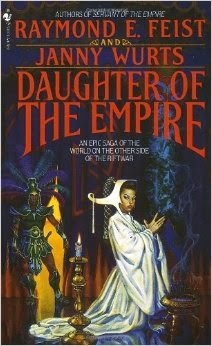 Hello my dear Gentle Reader, this month’s book pick is Daughter of the Empire by Raymond E. Feist and Janny Wurts. This is the first in a trilogy. Billed as “the other side of the Rift War Cycle” that aspect of this series was not a draw for me, as I’ve never read the Rift War. 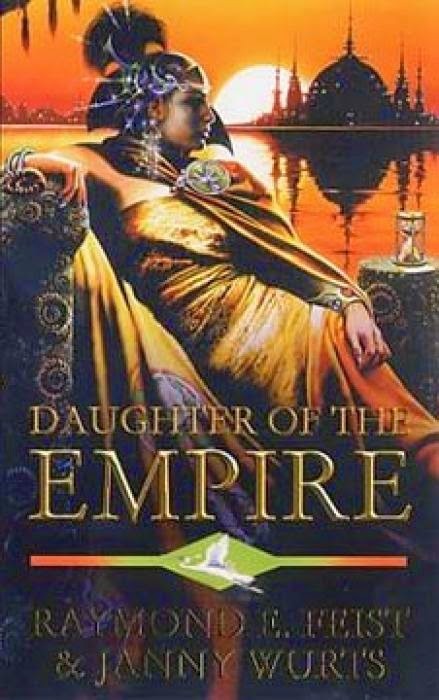 No, what I adore about this series is that it is a high political fantasy based in an alternate Japanese empire with its epic quality balanced by a pinpoint focus on a single brilliant character: Mara, Lady of the Acoma. 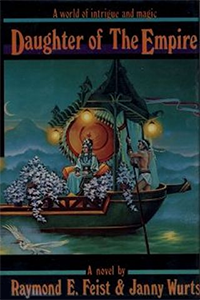 Published in the late 1980s, I must have first picked this up in the mid 90s because all three were already out in mass market paperback. I have clear memories of traveling to England with these books, when my grandparents were still alive, and hiding out from the family (I love them but… you know), claiming jet lag, in order to read them all. So good. 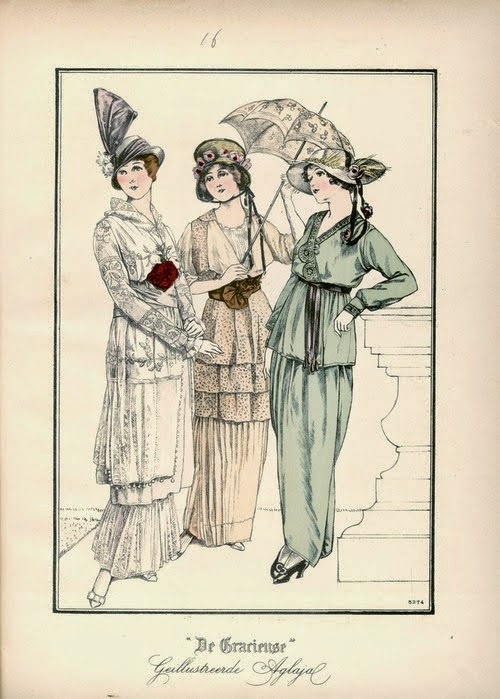 You don’t have to take my word for it, Tansy Rayner Roberts ran a reread over on tor.com back in May. I have a love of books co-authored by male/female pairs. 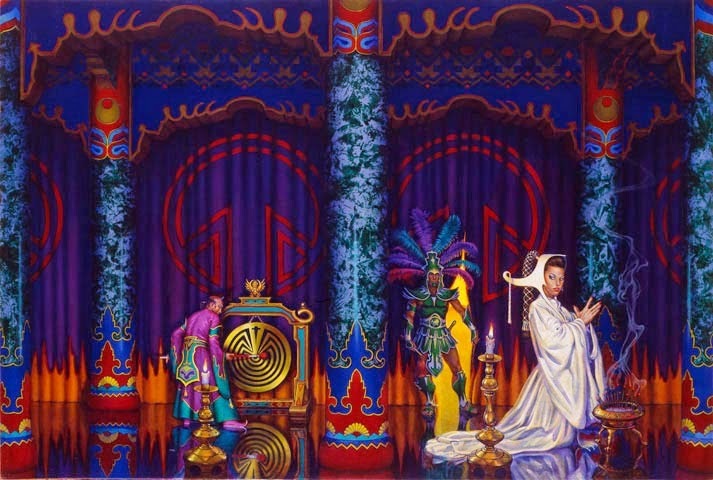 Doyle and MacDonald’s Mageworlds series springs to mind, as does Lee and Miller’s Liaden Universe. I have entirely prejudiced and biased feelings on the subject of the gender of authors (and the style of writing that results). Suffice it to say that I find a balanced pairing often leaves me feeling I got the best of both styles. For my money, Fiest and Wurts are the best of the epic pairs. I adore this trilogy and I defy you to stop after the first book. 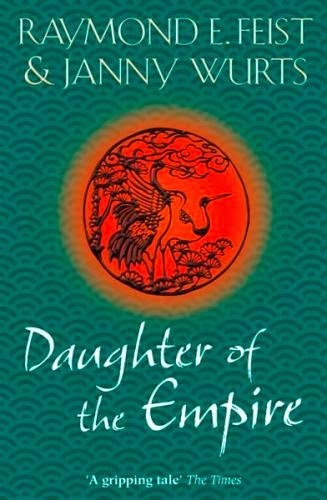 Daughter of the Empire has a slow descriptive beginning, dense with contemplative back story, an infodump-style start that is a classic hallmark of 1980s epics. It’s worth the minor slog, I promise. If you are a YA or urban fantasy reader you may find this initial lack of action frustrating. Try immersing yourself into the language, for by page 4 everything changes and you will be hooked. Having read this whole series multiple times I can tell you that now, reading Kayoke’s line, “We seek the Lady of the Acoma!” brings tears to my eyes. Because I know what will happen as a result of that single statement. And how Mara’s pathway is formed. How better suited she is for politics than a life of contemplation. And how much she will suffer for that ability. If you are a romance reader you may be frustrated by the lack of amour in Mara’s life. Don’t worry, she will get her passion and her love, and lose it, and find it again, and lose it, and find it at last. And it will be glorious. Mara is one of the strongest female main characters you will ever read, because she is very very smart. For me, that is the touchstone of joy in this book. She makes hard choices, she does the wrong thing on occasion, but she is so very good with people: cultivating loyalty and friendship. I feel like Mara is the closest thing fantasy has ever wrought to what a female with political power might actually have been like historically. Zenobia, Boudicca, Hatshepsut… Mara draws from all of these without ever having to defy her gender. I cannot wait to reread this book. I’ll be taking it on vacation with me next week and am contemplating packing all three, except that I know the end result is always me curled on a couch rereading them, back-to-back, for hours. Sometimes for days. I’m not sure I should check out so entirely from my vacation. (Although, in my universe, that basically is the best vacation, I think the AB would like to spend some time with me.) Still. Awfully tempted. A quick apology: I do wish this was available in all e-book formats (I found it on Amazon UK but not US, iBooks, but not B&N or Smashwords, sigh). Since this series was published before the e-revolution, I suspect the rights are under contention, or the authors are not motivated to self pub. I really wish they would. Since I first packed Mara off the the UK with me I have transported her to Italy and Peru on excavations, and through most of Europe and Mexico on vacation. For some reason, Mara is my book travel companion of choice. And boy do I wish I could get her on my generic e-reader and save my weight limit. But if I have to keep packing the mass markets, I will. And I will leave out the extra pair of heels. Would you look at that? Me! Electing to pack a paper book rather than a pair of shoes. Amazing! 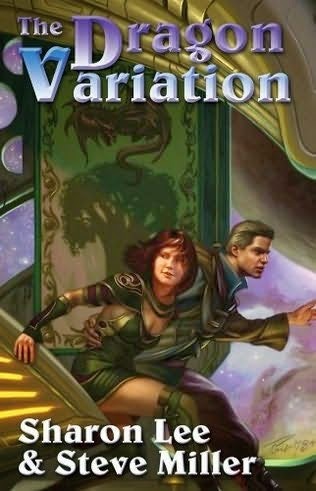 For those of you who absolutely positively refuse to read paper anymore, I pick for you the first book of the The Dragon Variation (Liaden Universe omnibus pairing). The specific book is called Local Custom and it is my favorite Liaden book. 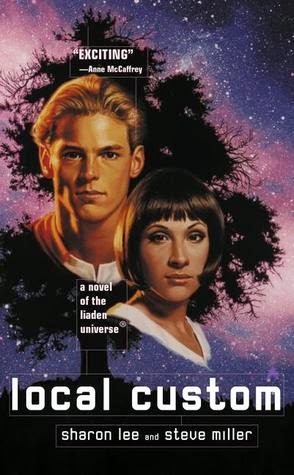 It’s classic space opera romance culture clash and I think any reader of mine would like it. Also Lee and Miller are some of the earliest and most savvy participants in the e-revolution, props! 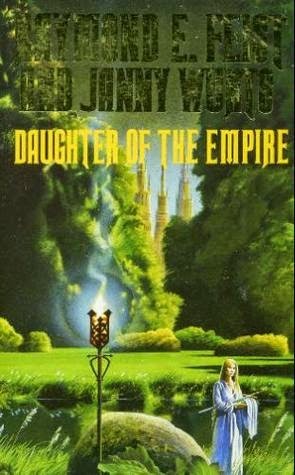 For everyone else, I do hope you all enjoy Daughter of the Empire as much as I do and forgive it for mostly being available in print. The book description reminds me a bit of Alison Goodman's Eon and Eona.